The Central Bank should also conduct its own probe and come up with procedures to make auctions transparent. 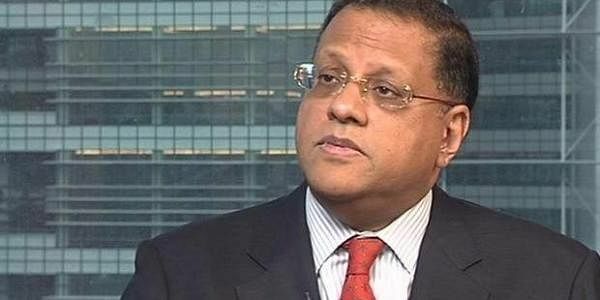 COLOMBO: The Sri Lankan parliament’s Committee on Public Enterprises (COPE) on Friday recommended legal action against former Central Bank Governor Arjuna Mahendran and other officials for being involved in controversial bond issues. Sunil Handunnetti, Chairman of COPE, presenting the report to Parliament said that evidence brought before the committee indicated that Mahendran was directly responsible for the bond issue and that legal action should be taken against him and other concerned individuals. He said Perpetual Treasuries, a firm connected to Mahendran’s son-in-law, Arjuna Aloysius, had made enormous profits from the deals. In February 2015 the Central Bank advertised the sale of LKR 1 billion (US$ 6.7 million) in 30 year government bonds at an indicative rate of 9.5% .The sale was oversubscribed with 36 bids totaling LKR 20 billion (US$ 135.2 million). The majority of bidders, 26, bided for Rs. 100 million or less at a rate of 9.5%–10.5%. However, a few bidders, including Perpetual Treasuries Limited, wanted interest rates of 11%–12%. On 27 February 2015, the bank accepted LKR 10 billion (US$ 676 million) in bids at rates of 9.5%–12.5%. The issuing of ten times the advertised bonds, and at a higher than expected rate, was alleged to have cost the Sri Lankan government an additional Rs. 40–45 billion (US$ 270.4 - US$ 304.2 million). Perpetual Treasuries was issued, directly and indirectly, with Rs. 5 billion (US$ 338 million) in bonds at 12.5%. COPE recommended that action should be taken to examine and recover any losses to the state and the Central Bank as a result of this decision. The Central Bank should also conduct its own probe and come up with procedures to make auctions transparent, the committee recommended. Prime Minister Ranil Wickremesing ghe said that the Government will respect the report and it will be debated in parliament. The report will be sent to the Attorney General for further action and government will abide by the advice of the Attorney General. COPE’s debate on the report was stormy with the ruling United National Party (UNP) totally opposing the Attorney General’s report on the scam. The UNP’s bid was to save Arjuna Mahendran who is a close friend and economic adviser of Prime Minister Wickremesinghe. Mahendran’s plea was that he was not directly responsible for the decision to sell the bonds at 11 to 12 percent range. In response to the opposition’s charge that Mahendra had fled the country, the Prime Minister said that he had gone abroad to attend a wedding and would be back soon. Mahendran, a Jaffna Tamil, had obtained Singapore nationality some years ago and had come back to be Governor of the Sri Lankan Central Bank in 2015 at the request of Prime Minister Wickremesinghe. Following the adverse publicity over the bond scam, Mahendran quit the Governorship of the bank this year but remained in Sri Lanka to advice the Prime Minister on economic matters. An MA in Economics from Balliol College Oxford, Mahendran was Managing Director (Asia) of HSBC and was Chief Economist and Strategist at Asia Pacific at Credit Suisse AG.